Check out Tobi's Faded Love Flared Sleeve Sweater Looking for a Fall sweater that does it all? The Black Faded Love Flared Sleeve Sweater is one of those goes-with-everything sweater tops. 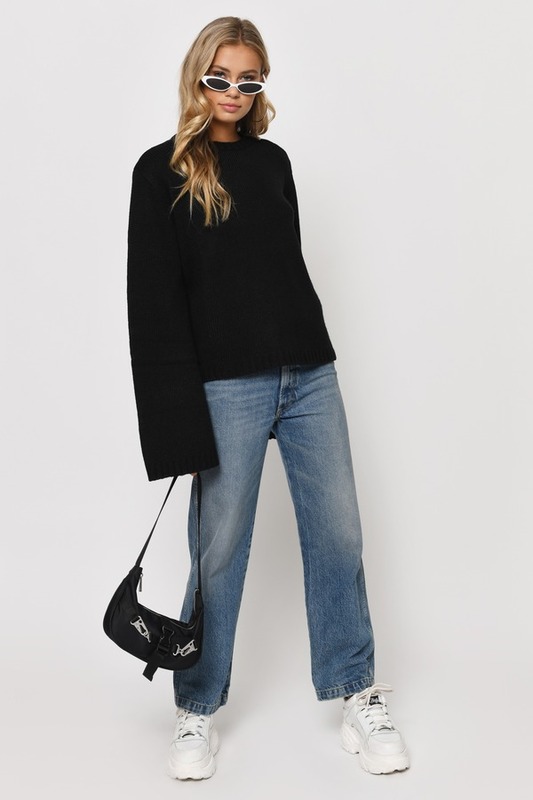 An oversized long sleeve sweater with a ribbed crew neckline and on-trend flared sleeves, this slouchy sweater adds an edge to shorts, leggings and more. 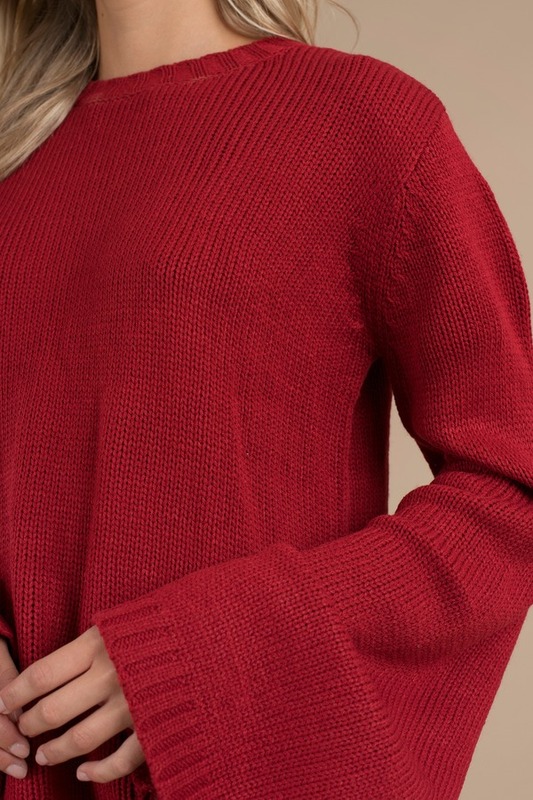 Looking for a Fall sweater that does it all? The Toast Faded Love Flared Sleeve Sweater is one of those goes-with-everything sweater tops. An oversized long sleeve sweater with a ribbed crew neckline and on-trend flared sleeves, this slouchy sweater adds an edge to shorts, leggings and more. Looking for a Fall sweater that does it all? The Black Faded Love Flared Sleeve Sweater is one of those goes-with-everything sweater tops. 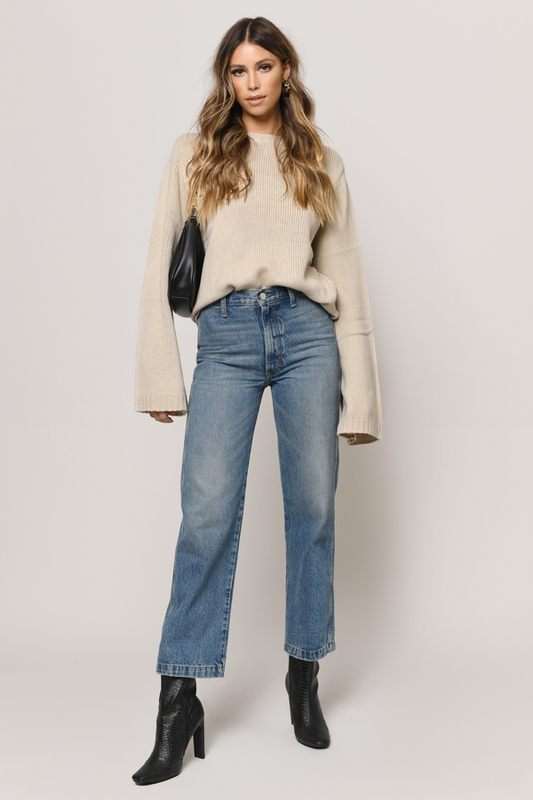 An oversized long sleeve sweater with a ribbed crew neckline and on-trend flared sleeves, this slouchy sweater adds an edge to shorts, leggings and more. Looking for a Fall sweater that does it all? 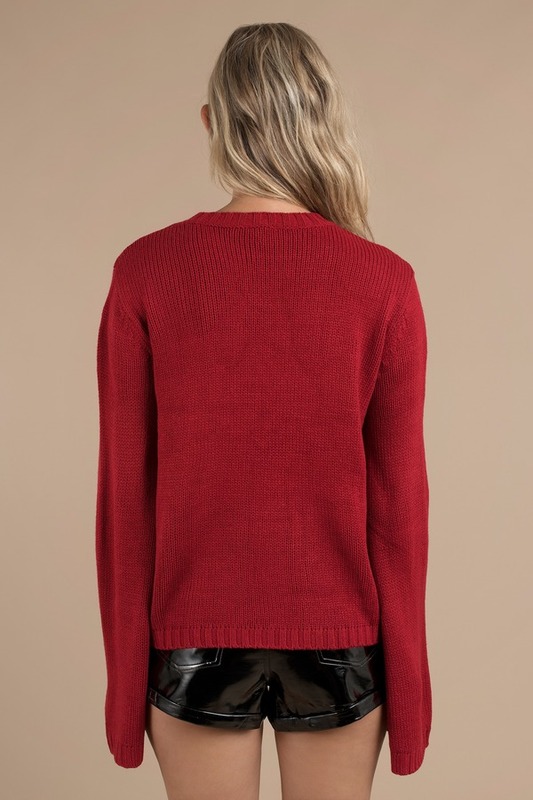 The Red Faded Love Flared Sleeve Sweater is one of those goes-with-everything sweater tops. 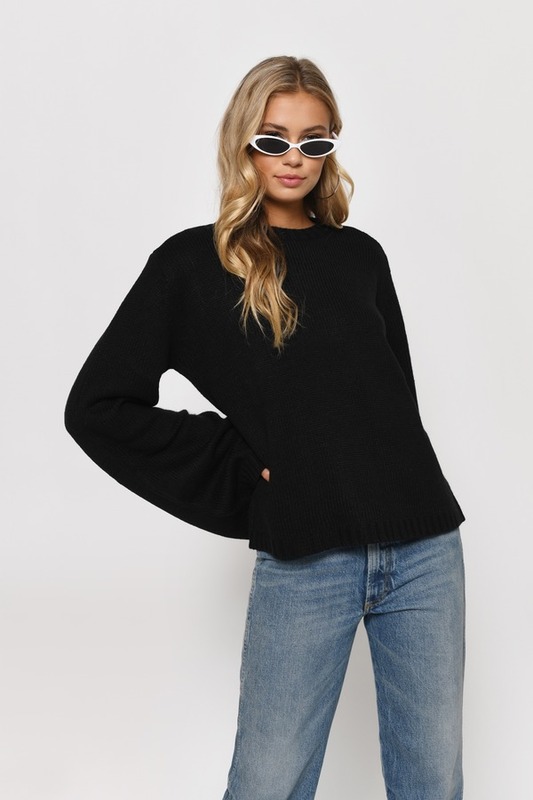 An oversized long sleeve sweater with a ribbed crew neckline and on-trend flared sleeves, this slouchy sweater adds an edge to shorts, leggings and more. Black, Toast modeled on a size Small.